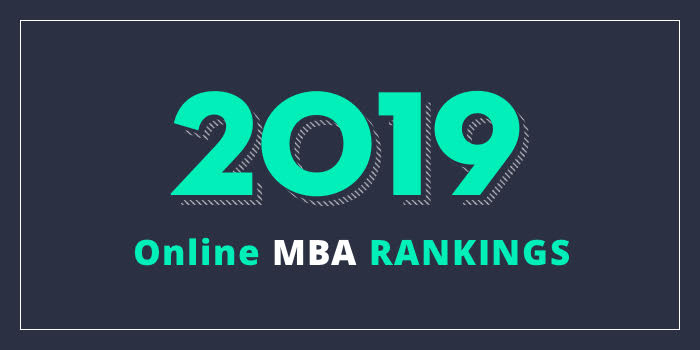 Our 2019 list of the Top 25 Online MBA Programs on the East Coast. We define the East Coast as Virginia, Rhode Island, Maryland, Pennsylvania, New York, Delaware, Connecticut, Massachusetts, Vermont, New Hampshire, and Maine. For an explanation of ranking criteria, click here. Online concentration options for the Fox OMBA include Business Management, Corporate Compliance, Governance and Regulatory Policy, Entrepreneurship, Financial Management, Human Resource Management, Innovation Management, Marketing Management, Sport Business, Strategic Management, Supply Chain Management, and Travel & Tourism. These online concentrations require nine of students’ 12 elective credits. Students in pursuit of a general MBA degree may choose nine credits of any elective course. Even with a concentration, many FOX OMBA students complete this AACSB-accredited program in as few as 20 months or up to six years, utilizing the schools flexible “hop-on, hop-off curriculum carousel.” Each student can expect to spend approximately 10-20 hours each week on coursework. The program culminates in an Enterprise Consulting Practicum (Capstone), worth three credits. The Robert H. Smith School of Business at University of Maryland (UMD) offers an online MBA program with six specializations. Options include Accounting, General Track, Finance, Information Systems and Business Analytics, Marketing, and Supply Chain Management. The program is largely asynchronous, which allows students to continue to meet personal and professional obligations during their course of study. The UMB Smith online MBA may be completed in as few as 24 months, while still providing “the same academic rigor and top faculty” as is offered in the campus-based programs. The Pennsylvania State University (Penn State or PSU) Online MBA is led by the Smeal College of Business, in partnership with Black School of Business, Penn State Behrend; Penn State Great Valley School of Graduate Professional Studies; and Penn State Harrisburg School of Business Administration. This AACSB-accredited program consists of 48 credit hours, which includes 39 General Management credits and nine credits of concentration work. Core coursework prepares students to become “more effective business professionals, says the school, “by exposing them to the principles and practices essential to modern management,” including accounting, economics, data analysis, ethics, communications, human resources, finance, marketing, leadership, supply chain, strategy, innovation, and digital transformation. Concentrations options include Accounting Foundations, Advanced Accounting, Business Analytics, Corporate Innovation and Entrepreneurship, Finance, General Management, Human Resource Management, Marketing Analytics, Project Management, and Supply Chain Management. The MBA program runs on the Penn State semester System, so in addition to a declaring a concentration, students can take advantage of other Penn State online graduate degree and certificate courses and programs. At the start of the Penn State Online MBA Program, students must attend a five-day Orientation Residency held at University Park, Pennsylvania. The orientation is designed to “acquaint” students “with aspects of the program in a face-to-face environment.” Students will meet their instructors and student peers, “immerse” in a team performance class while earning credit, and attend workshops covering student advising services, career management, stress management, alumni relations and networking, time management, and online technology. 4. George Washington University, Washington, D.C. The School of Business at George Washington University (GWU) offers an Online Healthcare MBA that may be completed in just two years and up to five, and a Traditional MBA that may be completed in two to five years. Both programs require 55.5 total credit hours of study including 28.5 credit hours of core courses and 27 credit hours of elective courses for the Traditional MBA, and 31.5 credit hours of core courses, 12 healthcare electives, and 12 general electives for the Healthcare MBA. The Healthcare MBA is delivered 100% online (or hybrid) and features specialized electives such as Service Line and Project Management, Managing the Skilled Nursing Facility, and Physician Practice Management. Designed for professionals on the path to becoming Health Care Managers, Administrators, and Executives, the program also offers the option to complete one of seven graduate certificates offered by the GW School of Medicine and Health Sciences as part of the curriculum. Clinical Research Administration, Integrative Medicine, and Regulatory Affairs are just a few options. The Traditional MBA Program may be completed 100% online or in hybrid format. The program offers optional concentrations in Consulting, Finance, Global Management, Government Contracts, Information Systems & Technology Management, and Project Management. Students may choose up to two concentrations or they may customize their electives to create their own focus area. Electives may be chosen from the schools of Business, Health Sciences, Public Health, Law, and more. Elective courses may also serve to add a graduate certificate to this Traditional MBA. The GWU Online MBA curriculum also includes Business and Society (a required 1.5 credit on-site residency course in Washington, DC) and a 1.5 credit Information Systems and Technology Management selective course. Students are offered nine opportunities to complete the on-site course, which offers a firsthand look through visits to the Federal Reserve, the US Congress, and the World Bank. Both AACSB-accredited programs offer three start times (August, January, or May), and optional short-term study abroad opportunities in places such as Denmark, Israel, Mexico, and many others. Syracuse University’s Martin J. Whitman School of Management offers a 54 credit hour online MBA known as [email protected]. The program consists of 36 credits of core business courses, 15 credits of specialization-focused electives, and three credits of U.S. and global residencies. Students may choose from six optional specializations including Accounting, Business Analytics, Entrepreneurship, Finance, Marketing Management, or Supply Chain Management. This AACSB-accredited program combines “live online classes led by Syracuse University faculty, self-paced coursework, and hands-on learning through domestic and international residencies,” says the school. While coursework for the MBA program may be completed entirely online, all students will participate in “three day-long residencies in cities around the world.” The school says that these hands-on experiences are structured like businesses conferences. Students will listen to local speakers who host “relevant discussions and interactive panels,” meet with classmates for socializing, and engage with professor’s fact-to-face for workshops and networking. For 2019, residencies take place in Hong Kong and Syracuse. Last year, students traveled to Dublin, Ireland to study “the industry-leading innovation” taking place there. The [email protected], including residencies, can be completed in as few as two years. Offered through the College of Business and Economics and the P.C. Rossin College of Engineering and Applied Sciences, the 45 credit hour MBA & E program is designed for students with an undergraduate degree in engineering. Classes for the program can be taken both on campus and online. MBA & E concentrations include Chemical Engineering, Manufacturing Systems Engineering, and Mechanical Engineering. Upon completion of the MBA & E Program, students receive an MBA degree with a concentration in their chosen area. Both programs are AACSB-accredited. The Isenberg School of Management at the University of Massachusetts-Amherst (UMass- Amherst) offers a 45 credit hour online MBA that offers six focus areas including Business Analytics, Entrepreneurship, Finance, Healthcare Administration, Marketing, and Sport Management. Fully accredited by the AACSB, the Isenberg MBA also offers a unique opportunity for students to “try before you buy.” Potential MBA students can take up to two classes before applying to learn why the program is a good fit. Besides several focus areas and the opportunity to experience the program before committing, students have an additional delivery option available to them. The Blended Option Part-Time MBA allows students to take some classes online and others at a conveniently located satellite campus in Boston, Shrewsbury, or Springfield, Massachusetts. University of Delaware’s (UD) Alfred Lerner College of Business and Economics offers an AACSB-accredited MBA that may be completed entirely online in as few as 16 months. A hybrid option is also available. The program has five concentrations including Business Analytics, Finance, Health Care, International Business, and Strategic Leadership. Students in the program may also choose multiple concentrations (two or more) to “gain greater flexibility in the job market, says the school” and stand out from the crowd. A customized option is also available for students seeking a concentration in another area. Students who choose this option may tailor the degree by selecting the electives that match their personal career needs. The MBA with one concentration consists of 44 credits, a dual concentration consists of 47 credits, and a triple concentration is 53 credits. All students will take core online MBA courses such as Corporate Strategy, Ethical Issues in Domestic and Global Business Environments, and Managing People, Teams and Organizations. Other Lerner MBA highlights include intensive, 7-week courses, access to a personal career coach, plus career workshops, GMAT and fee waivers for qualified applicants, and six start dates per year. Other program highlights include small class sizes, learning tools and tutoring, access to student coaches and advisors, a 169% return on investment, and Focused Learning Modules that allow students to “build expertise” in their career area. Modules include Business Analytics, Digital Marketing, and Investments and Private Wealth Management. Drexel University’s LeBow College of Business offers an Online MBA that the school says is a “highly customizable degree designed to equip you with problem-solving and leadership skills that can be applied across a variety of different industries.” The 49 credit hour AACSB-accredited program “is organized into four 10-week quarters per year (as opposed to the traditional two semester system) which means you can take more courses in a shorter time period.” Sample courses include Managing and Leading the Total Enterprise, Leading Dynamic Environments, Corporate Financial Management, Legal Options in Decision Making, and Business Problem Solving. LeBow Online MBA students may customize their learning experience to their interests and career goals through concentrations, graduate minors, and dual degree programs. All students may take advantage of multiple networking opportunities and residency options, as well as portfolio projects and case simulations. The Drexel LeBow Online MBA may be completed in few as 18 months or up to five years. James Madison University’s (JMU) College of Business offers two online MBA programs including the Information Security MBA and the Executive Leadership MBA. The Information Security MBA consists of 42 credit hours and takes around 28 months to complete, including summers. This AACSB-accredited program is part-time and requires just one Saturday residency every eight weeks in McLean, Virginia. The 42 credit hour Executive Leadership MBA requires one Saturday residency every four weeks in McLean, Virginia. The program, which features small cohort sizes, places emphasis on “accelerating participant skillsets in crisis management, global competitive issues, supply chain challenges, stakeholder leadership, and in understanding, leading, and creating change across the organizations,” says the school. Learning takes place face-to-face as well as synchronously, using the latest online technologies. Designed for “high-performing individuals who have the potential for organizational leadership and who will likely hold C-Suite positions,” the AACSB-accredited program includes 14 required courses that can be completed in 28 months, including summers. An optional global experience is also part of the program. Northeastern University’s D'Amore-McKim School of Business offers an AACSB-accredited online MBA program that can be completed 100% online in as few as two years. Coursework for the 50 credit hour program is divided into 13 core courses and five electives. Eight in-demand specialization options are offered including Finance, Healthcare Management, High Technology Management, Innovation Entrepreneurship, International Management, Marketing, Supply Chain Management, and Sustainability. D'Amore-McKim Online MBA students also have the option to earn a Dual Masters in Finance/MBA by taking "as few as four to seven additional finance electives," says the school. Both the single and dual online programs utilize interactive multimedia tools such as virtual class discussions, and discussion boards, as well as team projects and individual assignments for a well-rounded academic experience. An optional residency is offered to online MBA students who have (or will have) completed at least three courses (nine credits). The campus-based residency is an intensive one-week course equivalent to a three-credit elective. An International Field Study Residency is offered to online MBA students in good standing who have (or will have) completed the first year core courses (26 credits) with a GPA of 3.0 prior to the start of the field study trip. Recent locations include China, Russia, Greece/Turkey, and Chile/Peru. Students in the VSB Online MBA can begin the 48 credit hour (21 course) program in the fall, spring or summer semester. The curriculum is comprised of fundamental, core, pillar, elective and capstone classes, and students may choose up to two specializations from four areas including Analytics, Finance, Marketing and Strategic Management. Semesters for this AACSB-accredited program are divided into two sessions, each of which is eight weeks in the fall and spring and seven weeks in the summer. Students progress through the curriculum, typically taking one or two courses per session. The VSB Online MBA can completed in just two years. Clarkson University’s David D. Reh School of Business offers an online MBA program that consists of 14 three-credit courses. Ten are core courses and four are electives. Core course highlights Leadership and Organizational Behavior, Corporate Ethical and Social Responsibility, Decision Analysis and Supply Chain Modeling, and Financial and Managerial Accounting for Decision Making. Just a few elective options include Strategic Project Management, Negotiations and Relationship Management, High Performance Leadership, and Communicating Globally. Accredited by the AACSB, the Clarkson Online Reh MBA program offers a number of concentrations, including Global Supply Chain Management, Data Analytics, Leadership, and Entrepreneurship. The Program also allows students to take courses part-time or full-time, and students may earn a Dual MBA/MS in Data Analytics by completing five online courses and a capstone project. Clarkson Online Reh MBA students may begin the program in any term, and since the program is on a quarter calendar students can take courses all year round. Students can expect to complete the program in less than two years, even if they haven’t taken a business class. The Raymond A. Mason School of Business at William & Mary (W&M) offers a 49-credit online MBA program for working professionals. This interdisciplinary program consist of 12 courses. Each course is 7.5 weeks, with just 22 students per course. Students begin the program with the unique Renaissance Manager course. Per the school, the course explores “design thinking as an iterative approach to identifying and solving problems, the importance of both deep expertise and broad knowledge, understanding systemic connection as a part of creative problem-solving, how a willingness to experiment promotes a growth mindset, the ability to synthesize new ideas from seemingly unrelated or opposing ideas,” and more. Other course highlights include Global Managerial Economics, Integrated Technology, Leadership for the 21st Century, Revolutionary Leader Practicum, and Strategy. Students will attend just one on-campus residency. This Friday-Sunday event includes speakers, team-building activities and networking functions and students will have the opportunity to “discuss core business topics such as leadership, finance and marketing, as well as current events and global issues.” Students will meet the school’s Executive Partners (EPs), “a select group of retired professionals who volunteer their time as mentors to all Mason School of Business students.” Students can expect to complete the AACSB-accredited Mason Online MBA in just two years. Students can also earn a Public Accounting MBA that has online course options, a Health Services Administration MBA that can be completed online or an advanced Certificate in Nursing Home Administration offered 100% online. SUNY Oswego’s online MBA programs run year-round, including offerings in winter and summer, enabling accelerated degree completion. The AACSB-accredited program can be completed in just two years. The Saunders School of Business at Rochester Institute of Technology (RIT) offers an interdisciplinary, accelerated Online Executive MBA (EMBA) that requires just one three-day on-campus orientation. The program offers foundational courses such as Leadership, Accounting and Finance, as well as “distinctive” courses such as Product Commercialization and Technology Management. Classes are delivered via weekly synchronous sessions, “offering high-quality video and audio functionality for optimal interaction,” explains the school. Other program highlights include a curriculum that is identical to the on-campus program, with many of the same faculty teaching both formats, a required International Immersion Experience (airfare and lodging is are provided by the program), and the Capstone Consulting Program where students serve as consultants to actual businesses. The RIT Saunders Online EMBA delivers 49 credit hours of study in just 17 months (four semesters) and it is AACSB-accredited. The Robert J. Manning School of Business at University of Massachusetts at Lowell (UMass Lowell) offers an online MBA with nine concentrations. Concentrations are optional and include Accounting Business Analytics, Entrepreneurship, Finance, Healthcare, Information Technology, International Business, Managerial Leadership, and Marketing. If a student does not select a concentration, they will earn the General MBA. The Manning MBA program consists of 12 credit hours of prerequisites (six courses – two credits each – eight weeks), the required advanced core 21 credit hours (seven courses at three credit hours each), and nine credit hours of electives (three courses at three credit hours each) for a total of 42 credit hours. Course highlights include Accounting Information for Management Decisions, Analysis of Customers and Markets, Global Enterprise and Competition, Managing Organization Design and Change, and Strategy Formulation and Implementation. Courses for this AACSB-accredited program are offered in the fall, spring, and summer semesters. A minimum full-time course load is considered to be nine credits. Full-time students usually complete their degree requirements in two years. Part-time students must complete their degree requirements within five years. The two residencies allow students to meet other students that they will be working with, network, and build business relationships. Students will also meet faculty members and Zarb School administrators. Both AACSB-accredited Zarb MBA Programs are open to domestic and international students. Students hail from 51 states and U.S. territories, and 73 countries. The School of Business at Quinnipiac University (QU) offers a 46 credit hour Online MBA Program that may be completed in as little as 2.5 years. The program allows students to “formulate customized concentrations that focus on specific professional interests.” Students may create a concentration by choosing electives from six areas including Computer Information Systems, Finance, Health Care Management, International Business, Management, and Marketing. Students may also choose between three tracks including Finance, Health Care Management, and the Supply Chain Management. The AACSB-accredited QU Online MBA offers three start dates: Fall (late August), Spring (late January), and Summer (late May). Strome College of Business at Old Dominion University (ODU) offers an MBA program that may be completed entirely online. This AACSB-accredited program offers the option to add a unique certificate in one of the school’s “nationally recognized areas of expertise.” Areas include Business Analytics and Big Data; Maritime, Ports and Logistics Management; Modeling, Simulation and Visualization; and Public Procurement and Contract Management. Students also have the opportunity to get Bloomberg terminal trained and certified at the Lumsden Bloomberg Trading Room. The Strome Online MBA is a fast-paced program that features short 7.5-week courses, a strong core curriculum, and courses taught by Ph.D. faculty. Subject areas covered include Accounting Business Analytics, Business Law, Economics, Finance, International Business, Leadership, Management, Marketing Strategy, and Supply Chain Management. The MBA consists of 40 credit hours and 45 for non-business undergraduates, with 36 hours of core courses in the covered subject areas. All students have access to the Career Advantage Program, which assists interested students in identifying internship opportunities and career coaching. Students can take classes anytime during the week, they can shift between online and on-campus, and two-, three-, and four-year completion plans are available. The School of Management at Marist College offers a 30 credit hour 100% Online MBA Program with three optional concentrations including Ethical Leadership, Finance, and Healthcare Administration. Per the school, “a Business Analytics focus is infused throughout each concentration.” The curriculum consists of nine core courses and three elective/concentration courses. Students in this AACSB-accredited program communicate with faculty and fellow classmates via telephone, email, video conferences, and VoIP (Voice over IP). The program is offered in an asynchronous format, so there are no specific sign-on times each week. Full-time students may complete the Marist Online MBA in as few as four semesters, while part-time students may take up to seven years, depending on the number of courses they take each semester. Start times include the fall or spring semesters, with each semester having two rounds of eight-week classes. The School of Business at Stevens Institute of Technology is AACSB-accredited. The F.W Olin Graduate School of Business at Babson College offers a blended learning MBA that combines online classes, face-to-face sessions at Babson’s campus in either Wellesley, MA, Miami, San Francisco, or Dubai, and virtual collaboration with students from around the world. Students in the program will develop the skills and knowledge needed to “understand how to take action, learn, and build in the ever-changing global business landscape,” says the school. Students will also learn how to apply “classroom knowledge to real-world business problems in leading organizations of all types and sizes,” before they graduate. The Olin Online MBA takes just 21 months to complete, full-time, and it is AACSB-accredited. RMU MBA online courses are taught by the same quality faculty who teach in the on-ground program. Course highlights include Analytical Methods for Decision Making, Creating Customer Value in a Digital World, Examining the Channel Management and Logistics Interface, Global Operations & Supply Chain Management, Leading the Business Enterprise, and Strategic Knowledge Integration. Other program highlights include specialized certificates in Business Analytics, Project Management, and Supply Chain and Logistics Management that can be earned as part of the MBA, team-taught courses with a real world focus, small classes for enhanced interaction, and courses that can be accessed 24 hours a day, seven days a week. The RMU MBA is AACSB-accredited.